New York State asked Ketchum for social media support of its upcoming launch of its state health insurance exchange. For NY State of Health – NYStateofHealth.NY.gov – we had a feeling that that the exchange might have a bumpy launch and so we prioritized a social media customer support and monitoring strategy to supplement traditional PR tactics during the launch of the campaign. We launched and managed Google+, YouTube, Facebook, and Twitter profiles to provide online customer support to New Yorkers having issues enrolling in the exchange, and to educate consumers about information related to the exchange. I created a social media process and protocol that guided how our Ketchum team would manage the customer service handles, and how we would interact with the client and their phone customer support staff to ensure a fast and coordinated response to consumers. The plan was put to the test when the Exchange was first open as the site was overwhelmed with traffic and crashed. I counseled the client on how to handle the server outage – by providing and promoting what information we could on the social media handles, and we created a stronger connection between our team and the developer staff so that we could communicate in real time server improvements and website fixes, as well as report bugs being reported on the handles back to the developer team. The strategy included monitoring and responding on the handles Monday-Friday between 8 am-8 pm and Saturday between 9-1 pm, and monitoring the larger social media conversation during traditional business hours. We were also involved in coordinating the promotional editorial calendar and paid promotions. We logged the FAQs we saw on the handles into Desk.com, to ensure an efficient and fast social media response and allowing the state to (in the future) publish a robust site of FAQ content to help New Yorkers enroll in health insurance. The New York State Exchange was actually one of the top exchanges (in relation to successful enrollees and meeting its target goals) in the nation. By the end of the year we transitioned the social media customer support role to an internal team. I helped the state recruit and train this team on social media management best practices and social media/web analytics prior to the transition. 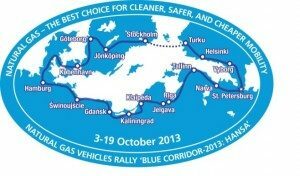 BlueCorridor.org’s original site was desktop only even though it supported an on-the-ground rally of natural gas vehicles through Europe with local events and press coverage. For Gazprom’s BlueCorridor.com, we rebuild their Blue Corridor rally site into an evergreen spot on the web promoting the use of natural gas as a cheaper and cleaner transportation fuel. The new site was built to be 100% mobile friendly (for both US and EU devices), optimized for search engines and supported by link building and promotion campaigns throughout the year. We also supported the team with a social media promotion strategy utilizing Facebook, Google+, YouTube and Twitter. The revamped website and promotion campaign increased site visits by 130.02%, while also increasing the average site visit duration by 68.22%. Additionally, the team decided that they were ready to expand the site internationally to better meet their target audience. I provided the team with a plan, resources, and recommendations for creating and promoting a version of the site to a German-only audience in Germany. Ketchum was tasked with developing a nationwide federal government communications campaign for the HHS Office of the National Coordinator (ONC) to speed the adoption of electronic health records. Ketchum created – www.HealthIT.gov – which housed resources to help in health IT adoption and listing local contacts for Regional Extension Centers so providers don’t have to walk this tough road alone, and a mobile-optimized Health IT Buzz blog to reach providers on their mobile devices. I led the content creation and optimization for both properties as well as the supportive link building, guest blogging, social media and email promotion campaigns for those properties. I also led the team that launched and managed their social media presences which supported the overall SEO strategy: LinkedIn; Google+, SlideShare, YouTube; Twitter, Flickr, and Scribd. My team and I also managed the online reporting for ONC. We created a fully integrated campaign metrics tracking report to show data and trends in social/shared media, earned media, paid media, and owned media as well as new electronic health records content creation statistics. Reporting showed month-to-month and quarter-to-quarter shifts in impressions, tweets and retweets, social media followings, referrals to website from social, paid media circulation, and online/offline content created – while at all times showed how those metrics moved the larger KPIs for the entire campaign and web properties. The campaign won the agency over 24 different awards including: PR Week’s Public Sector Campaign of the Year, Silver & Gold SABRE Awards, Bronze AMEC Global Communications Effectiveness Award, Silver Web Health Award, Thoth Blog Award, Bronze PRSA Anvil Award, Jack Felton Golden Ruler Award for Excellence in Public Relations Measurement and Evaluation, and Gold Quill Award of Merit. And most importantly, we changed the US Google search volume for EMR (electronic medical record) vs. EHR (electronic health record) and changed the tide – with more people searching for the correct term (EHR) at the end of the campaign. 1-800-Volunteer.org – Promoting and Selling a service of the Points of Light Foundation. The Points of Light Foundation had just launched an early beta version of 1-800-Volunteer.org, but needed someone to sell and promote the online volunteer management service to their members, and also promote the service to all potential US volunteers to ensure that the volunteer pipeline was meeting demand. I developed the go-to-market strategy for 1-800-Volunteer.org and HelpinDisaster.org which included a comprehensive marketing and sales plan, customer training and implementation procedures, customer online marketing training, national brand partnerships, national and local press strategy, SEO and analytics strategy and implementation. I was the first hire on the 1-800-Volunteer.org team with 100 existing customers who had signed up for a free trial but had not been implemented in over year, and a just released beta product built without clear business requirements or training documentation. I wrote the first training manual, assisted in the setup of Salesforce to manage our sales and implementation process, and was involved in product development and the Q/A process. I created all marketing and sales collateral and strategy which included event participation, cold calling leads, creating an email marketing campaign (and selecting an email marketing vendor), managing PR efforts, managing SEO efforts (which included training all of our clients on SEO copywriting and online promotion), selecting and installing web analytics software for client and national reporting. Additionally since I had a sales quota I was involved in qualifying sales leads, giving sales presentations and closing sales. I took 1-800-Volunteer.org from a new-to-market product to the market leader in under 3 years due to my marketing and sales efforts, and I turned those 100 unhappy beta customers into brand advocates. Additionally I increased our website traffic increased by 300%. Our successes was in part to my role in getting Volunteer Centers and the governor’s office of MS, LA and AL to use 1-800-Volunteer.org software to aid in the Hurricane Katrina recovery. It also leant to the development of HelpinDisaster.org to coordinate volunteer emergency assistance at the national level. I was a part of the team that landed partnerships with Disney, American Red Cross and FEMA which resulted in HelpinDisaster.org (1-800-Volunteer.org’s sister site) being used as the national emergency volunteer management system for Hurricane Dean. Evaluate the existing web development and management process and create a scaleable internal project workflow that would increase measurable website traffic and add email addresses to their donor database. I managed an online marketing team of 4 employees, and recruited 11 unpaid interns to execute on print, email, web marketing, online fundraising, and web development strategies. I established team and web development processes to streamline the go-to-market strategy for research products which included selecting and implementing Central Desktop and developing internal online marketing training programs. Most immediately, I assessed the server infrastructure and led the charge to change hosting, re-architect the servers, and implementing load testing as a required website launch process. I audited and fixed the Google Analytics implementation, which ultimately required selecting and hiring a Google Analytics consulting firm, set KPIs and established a monthly reporting process. I also implemented plans to improve SEO which included a process to eliminate press clip scrapping and duplicate content, training of interns to assist with SEO copywriting, link building, PPC, and social media outreach, and started a plan for a redesign of the site to ensure that it could scale with increased traffic load. My integrated communications plan increased traffic to www.ewg.org by 85% in just the first four months. By September 2009, I created and managed an online marketing plan (design, SEO, social media, PR, PPC) for EWG’s cell phone radiation report that drove over 1 million visitors to the website in one month. And which became the top traffic driver for 6 months post-release.